Pick-up from Airport/Railway Station & drive to Jambhugodha (90 Km Ex-Baroda & 190 Km Ex-Ahmedabad). assistance on arrival, Check-in hotel. Evening Visit The Village. Overnight stay at Jambhugodha. After Morning Breakfast full day visit The Chottaudaipur (55 Km One-way) , See various colorful Tribal Belts which are unique of Gujarat Traditional & Cultural Living Style. Overnight stay at Jambhugodha. After Morning Breakfast drive to Uthelia via Champaner (65 Km + 110 Km), a World Heritage Site declared as one of The Hundred Endangered Architectural Monument of The World. Evening Arrival in Uthelia. Overnight stay at Uthelia. 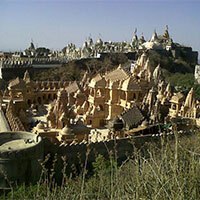 After Breakfast, visit The Harrappen site which is located at Lothal just 10 Km from The Palace. After The visit Proceeds to Bhavnagar Historical city. Evening, visit The Museum & Local Bazaar. Overnight stay at Bhavnagar. 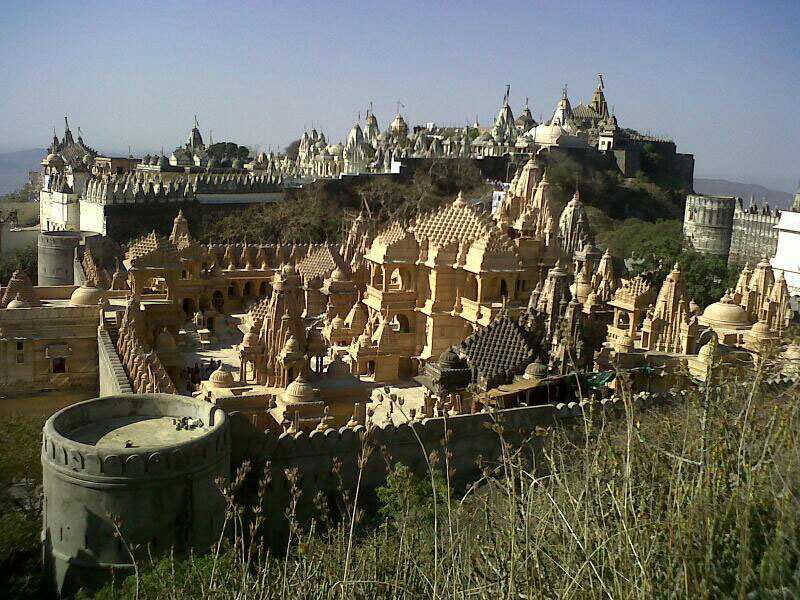 (Full day Excursion) Early Morning 05:00 hrs drive To Palitana 57 Km / 1 hour 40 minute drive, visit Shetrunjaya Hill, 2000 Ft. near Palitana town, Has 863 Temples with Arches, Carved Pillars & Bejeweled Idols, ranging from The 11th - 20th Century. Later ffternoon return to Bhavnagar. Overnight stay in Bhavnagar. After Breakfast drive to Gondal (180 Km) reach in afternoon at Gondal. Evening visit The Naulakha Palace The Oldest Extend Palace in Gondal, The 17th Century Naulakha Palace is a Festival Of Stone Carvings with Exquisite Jarokha Balconies,. Visit The Royal Family Vintage Car Collection, Have an Extensive Collection Of Vintage And Classic Cars Including A 1910 New Engine, A Delage And A Daimler from The 1920s, A 1935 Mercedes, 1935 Packard 2 Door Convertible, 1941 & 1947 Cadillac, 1955 Cadillac Limousine, Jaguar Xk 150, Chevrolet etc. Most Of These cars are restored And Some Bear The Original Gondal State Number Plates. After Breakfast drive to Wanakner On way visit Rajkot (40 Km + 55 Km) including The Watson Museum, Rashtriya- Shala, Weaving Cloths & local Rajkot City. Afternoon arrival at Wanakner Enjoy a visit The Palace Museum & local Village. Overnight stay at Wankaner. After early morning Breakfast proceed for Ahmedabad (220 Km.). Rest of the Day free in Ahmedabad. Overnight stay in Ahmedabad. After morning breakfast, half day local site-seeing & afternoon proceed for Gandhinagar, visit Mahudi, Akshardham & late evening back to Ahmedabad. Overnight stay in Ahmedabad. Rates are valid for limited period only. Rooms are Subject to Availability at the time of confirmation. Service tax will be as actual on total invoice value @4.5%. If, any increase in diesel/ petrol price & increase in taxes than actual incremental amount would be additional on this package cost.